Teacher Austin Crowder does not wait until MLK Day in January to present the work of Rev. Dr. Martin Luther King Jr. to his high school students. In fact, he introduces "Letter from a Birmingham Jail" when students return to the classroom in August. Crowder shares his own reasons for intentionally initiating his semester-long government course at a public charter school in South Memphis, Tennessee, with King’s letter. To begin with, the work of Martin Luther King really sets the tone about values. "I could easily start the class with ‘British philosophy on governance,’ which would be fine," explains Crowder. “But I think it's important for students to see that this class goes beyond its content." "With a powerful subject as is King's letter with his place in history and the lessons he has for us at the beginning, they realize that there are implications for this class and for this content on humanity and on human rights." Straight away, it opens up a permissible conversation that sets the tone to talk about the implications of government that need to be discussed, such as constitutional rights like equity. Crowder uses the teachings of the letter as a model to students on how to treat each other. One method and key objective of the lesson is generating an understanding of the phrase "Injustice anywhere is a threat to justice everywhere" and to explore its meaning within the context of their classroom. He also intends to set the tones of mutual responsibility and mutual respect being key throughout the year. Therefore, Crowder frames the lesson as a way of emphasizing to students the importance of being a unit as a class and to be accountable to and responsible for the success of each other. In one activity, students look at one of the character strengths, fairness, and its significance to them as individuals. Throughout the course, the students, along with their teacher, will be looking at what it means to treat each other with fairness, which sometimes differs from sameness. This helps students understand how different accommodations or supports may be necessary for some students and not others as a way of maintaining fairness, not violating it. Crowder emphasizes that there’s also a broad skill-set that this letter can teach students, not only through its content but also through its method. King eloquently structures his arguments then develops each with clear evidence and examples — something Crowder expects his students to do in their own writing throughout the semester. "I’m trying to introduce early on in the semester to my students how to develop or construct an argument," he explains. "They need to be clear, organized and provide evidence for each one of their arguments." Together the class works through the excerpt of his letter, one paragraph at a time. They examine each one of King’s arguments, classifying them while analyzing how they are constructed and supported with clear evidence. King starts with a legal argument explaining his organizational ties, moves to a religious argument, and then a more general moral argument rooted in mutuality. Crowder, a fellow in the Harvard Divinity School’s Religious Literacy Project, incorporates some of its tenets which have been explained in greater detail in previous articles. Students learn that religion is intricately embedded into culture. Crowder also introduces them to the concept that religions, despite frequently being portrayed as uniform, have many differences even within the same sect or expression because communities function in different social and political environments. "It’s important for them to learn to recognize and dismantle assumptions and generalizations during our class often made based on a person’s culture or religion," he says. Incorporating Dr. King’s teachings as a part of the regular social studies curriculum throughout the academic year is one of the guidelines published by Teaching Tolerance, based on Coretta Scott King’s words in a 1983 Washington Post article on how a holiday for her late husband should be observed. 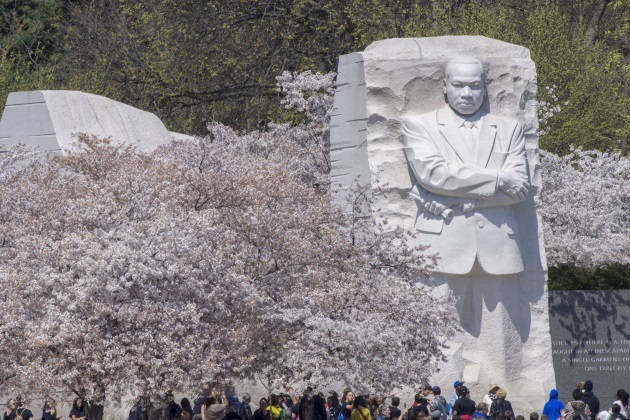 Along with incorporating the above concepts and practices throughout the school year based on the letter lesson, Crowder revisits Dr. King more than once in the course. During a unit on the Civil Rights Movement, students explore nonviolent civil disobedience as taught by Dr. King. They also compare and contrast civil rights leaders like Dr. King and Malcolm X in terms of their different approaches, then complete a biopic of both figures. Overall, Crowder has noticed a difference in how the class unfolds now that he has been using the letter from a Birmingham Jail as the starting part for this term. It’s reflected in the student’s mutual concern for each other as they are incorporating these values within their classroom and lives.